Spring is in the air and so are the monarch butterflies. With the return of warmer weather in the northern hemisphere, monarch butterflies begin the 2,500 mile, multi-generation return to the United States and Canada from their over-wintering oases in Mexico. Scientist know the monarch’s migratory route – the longest of any insect – but had yet to detect the precise mechanism by which the butterflies expertly navigate their course crossing both massive land mass and bodies of water. Now a multi-disciplinary team of researches believe they have the answer: a solar compass. 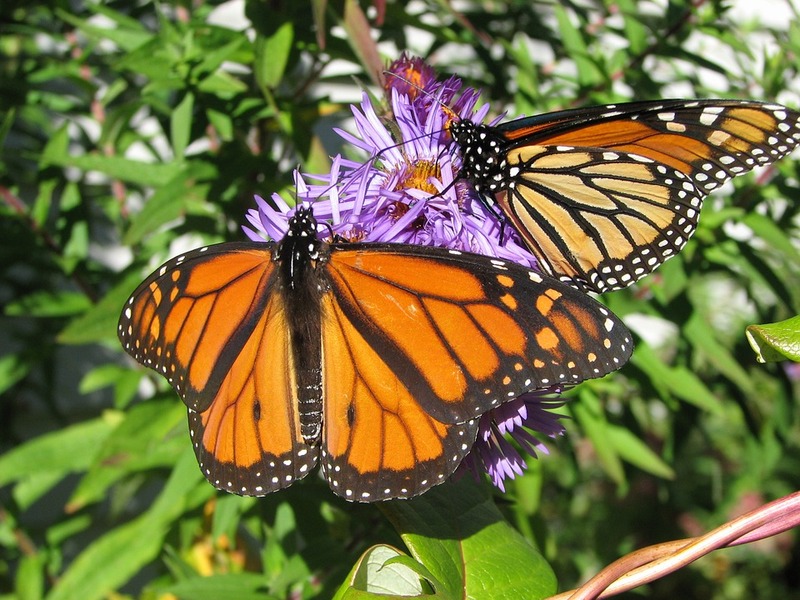 Lead scientist Professor Eli Shlizerman first embarked on deciphering the monarch’s methods because the “butterflies [complete their journey] in such an optimal, predetermined way” despite having limited sensory cues. As a mathematician, he wanted to define the neural circuits underlying such precision. Schlizerman teamed with biologists to tap into the suspected necessary neurons in the monarch’s light-sensitive antennae and compound eyes. Steven Reppert among others tracked the firing pattern of individual neurons in the butterfly’s eyes and antennae. The team then recreated the light cues a monarch would receive on a migratory journey from North America to Mexico and subsequently observed. What the researchers observed was that not only were the antennae and eyes sensitive to the a light’s direction, but they also detected the intensity of light corresponding to the rising and setting of the sun. These cues form a neural “sun compass” which derives the direction from sunlight and compensates for variations in sunlight strength over the course of the day. This circuit keeps the butterflies’ on a steady southwest route in the winter and northeast in the summer. Using computer models, Shlizerman et al input simulated light cue data following this neural circuit model and reproduced the flight pattern of the magnificent monarchs. In future studies the team hopes to capture real-time data during a monarch migration to further demonstrate the neural compass.